Foam Roller Techniques: Easy reference for massage, stretches and flexiblity. For You Back: Thoroughly covers back facts, simple anatomy, and causes and treatments for the most common types of back problems. For Your Neck: Discusses common causes of neck injuries and preventive strategies. Treat Your Own Back: Easy-to-read book contains updated content, new photos, and numerous pages of education and clinically proven exercises. Helps eliminate guesswork and provides effective long-term back management. Maintain effective long-term back self-management with Robin Mckenzie's completely revised 9th edition. 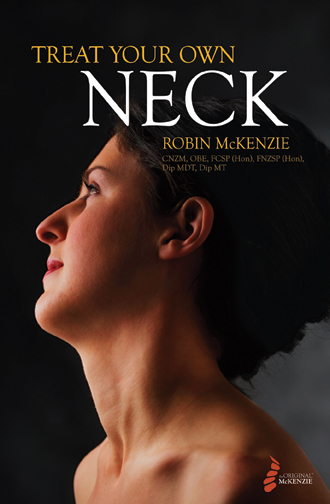 Treat Your Own Neck: Offers a step-by-step system of education, awareness, exercise and prevention for common neck problems. Helps patients learn to relieve their problems and prevent recurrence of their symptoms in the future. By Robin Mckenzie.